The family of a young father are disgusted his alleged killer will be "immortalised" in a photo exhibition at an upmarket Auckland art gallery. They say including the accused man in the exhibition is "unacceptable" and have called for his portrait to be withdrawn. However, the gallery will not budge. 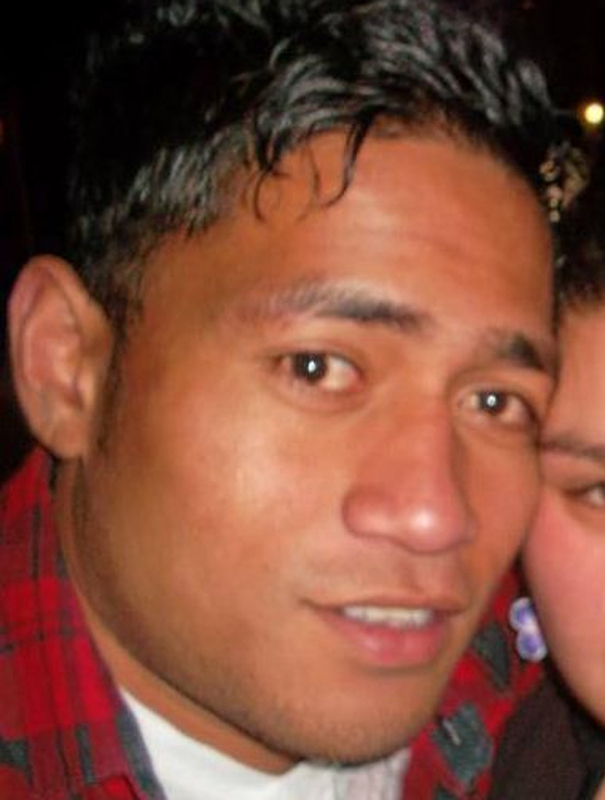 On August 22 last year, Sio Matalasi, 25, was gunned down during a stoush between rival Mongrel Mob members in Wellington. Mr Matalasi, who had a young son and a new baby on the way, was not a gang member or associate. However, he was friends with several members of the Petone Mongrel Mob chapter who lived in a nearby flat. When they were confronted by rival Rogue members from Porirua, he stepped in to try to help his mates and was shot during the fracas. Shane Harrison, 43, and a 19-year-old man were charged with his murder and will stand trial in September. The Herald can reveal Harrison is one of eight Mongrel Mob members to feature in a month-long exhibition of portraits by photographer Jono Rotman at the Gow Langsford Gallery. Mr Matalasi's father, Iafeta, was shocked about the portrait. "What this gallery is doing is immortalising him. It doesn't matter what their view is, that portrait is going to be around forever and to immortalise a person like this is actually wrong," he said. "It's a big slap for me and my family. I want the photo excluded. It is utterly unacceptable, in my view." Iafeta Matalasi said he struggled every day with his son's death. "I cry every night. I look at my son's photo and I cry. We are already going through the court case, and now this. It's just wrong." His partner, May Barnard, emailed the gallery yesterday explaining why the portrait upset her family. Gallery director Gary Langsford said it would not be taken out of the exhibition. "However, we do understand the concerns of the Matalasi family and will withdraw this image from any future publicity," he said. "The image was sent out on Thursday last week as part of our normal process to alert all media to our upcoming exhibitions. We were unaware that the subject of the photo was awaiting trial for murder." Mr Langsford said it was gallery policy "not to censor an artist's work", and the portraits "should be considered in the context of fine art". He said the Herald was trying to "sensationalise these images". Rotman acknowledged last week that there would be some "negative reactions" to his work.